Welcome to Delhi, the capital of modern India. On arrival, you are received and transferred to your hotel. Later do full day sightseeing tour Old Delhi in the morning covering Jama Mosque, the Red Fort and Mahatma Gandhis memorial Raj Ghat. 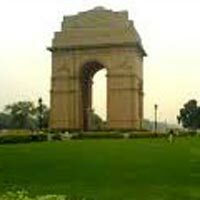 In the afternoon, set off on a sightseeing tour of New Delhi covering Safdarjang's Tomb, Qutab Minar and Humayun's Tomb and local market. Overnight in Delhi. After breakfast drive to Agra , the 16th and 17th century capital of the Mughal empire. Upon arrival check in to you hotel. After visit a city tour to experience the TAJ MAHAL (closed on Fridays), an extravagant marble monument of love, built by Shah Jahan in 1653 as a memorial to his queen Mumtaz Mahal. One of the Seven Wonders of the World, this beautiful mausoleum in pure white marble took 22 years and 22,000 craftsmen to build. Continue your tour to the Agra Fort, an original red sandstone fort built by Mughal Emperor Akbar in 1565. The forts maze of courtyards, its marble mosque and lavish private chambers reflect the grandeur of the Mughal Empire. Overnight in Agra. After breakfast you drive to Jaipur enroute visiting Fatehpur Sikri, the deserted 16th century red sandstone city built by Emperor Akbar. Here you visit the Bulund Darwaza (The Gate of Victory) - the tallest gateway in the world, and the superb white marble tomb of the famous Sufi saint Shaik Salim Chishti. Continue your drive to Jaipur. Built by Raja Jai Singh in the 18th century, Jaipur, the capital of Rajasthan is a picturesque city in a symphony of pink. Upon arrival and check in hotel. Evening visit Birla temple. Overnight in Jaipur. After breakfast proceed for an excursion to Amer Fort which is located 12 kms outside Jaipur. One of the finest example of Rajput architecture, it was the ancient capital of Kaisshawah rulers. Enjoy the ascent to the Palace on the back of a brightly caparisoned elephant. Visit the multiple chambers and hallways of the palace which are famous for their design and decorations. In the afternoon, proceed for a city tour visiting the unique stone observatory Jantar Mantar, the opulent City Palace with its musuems, and driving past the Hawa Mahal. Overnight in Jaipur. This morning check out from hotel drive to Delhi. 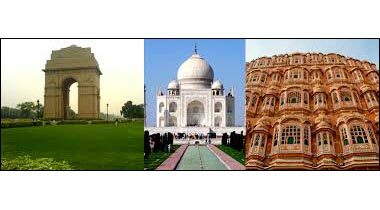 Upon arrival and transfer to Delhi airport in time to board to your onward destination.